today I browsed the red news and came over this: Keep an eye on these 5 new features in RHEL 7. 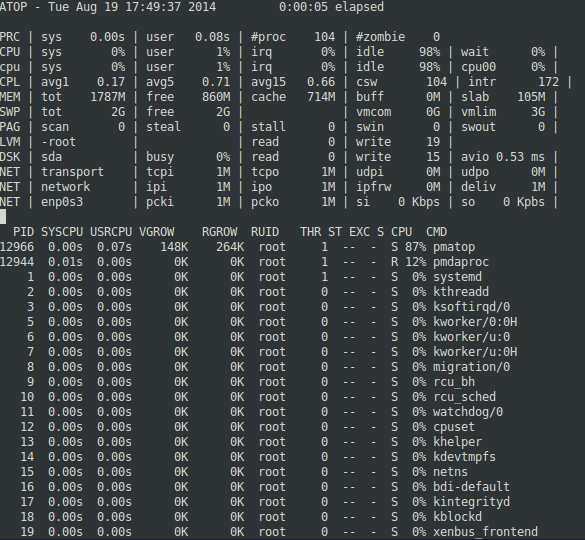 I did know about systemd, docker, xfs. I don’t care about AD integration, at least currently. but what is Performance Co-Pilot? 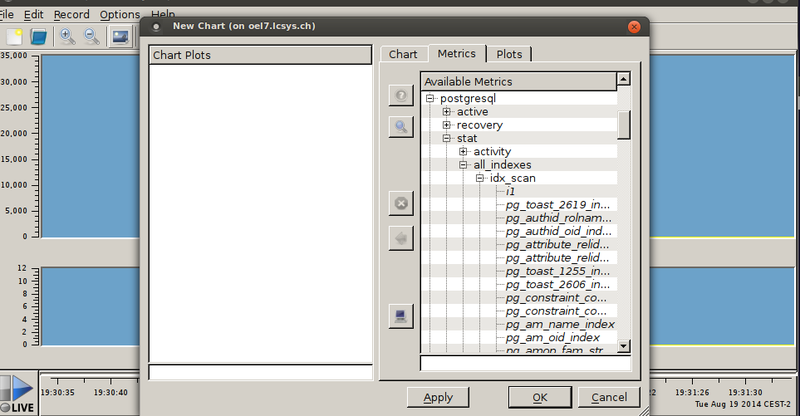 the "postgresql" Performance Metrics Domain Agent (PMDA). cool. can I get some values? connections on Unix domain socket "/var/run/postgresql/.s.PGSQL.5432"? 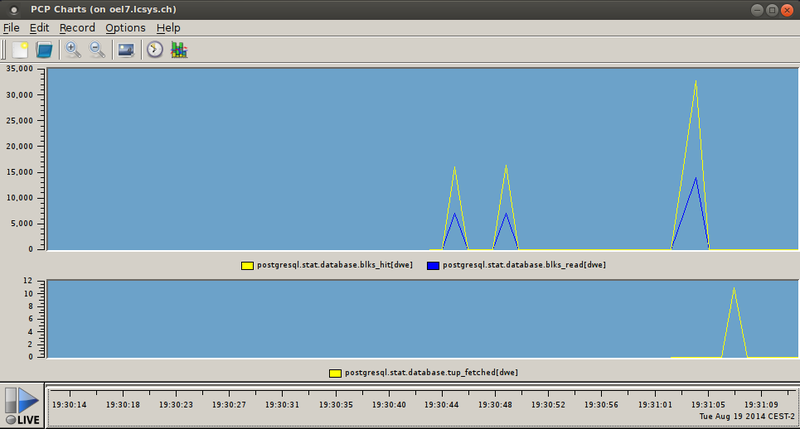 at /var/lib/pcp/pmdas/postgresql/pmdapostgresql.pl line 252.
now performance data can be viewed in realtime…really cool.